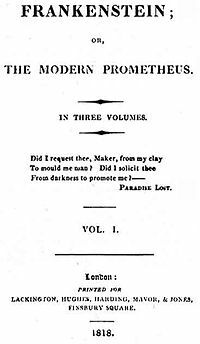 Since it’s writing in the early 19th century, Mary Shelley’s classic monster novel “Frankenstein; or, The Modern Prometheus” has captivated readers; and, with the rise of the cinema has grown into a cultural obsession, one that continues have an intense effect on our society. To date there have been fifteen official adaptations and countless other free adaptations, demonstrating the tale’s hold on our consciousness. Indeed Frankenstein is an incredible example of abjection in western culture. 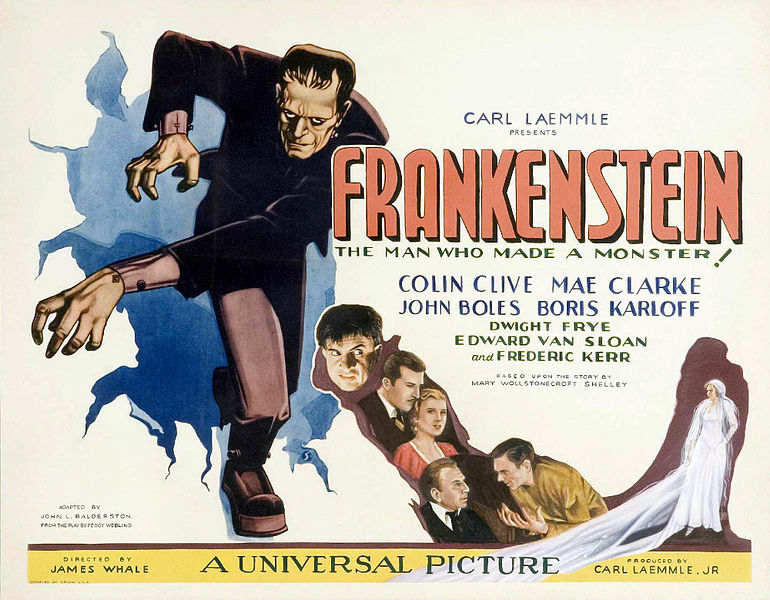 The creation process of Frankenstein’s monster, though largely glossed over in Shelley’s work, involved the reanimation of dead flesh (in the 1931 film, directed by James Whale, the monster is constructed from the severed limbs of dead criminals) with the application of electrical current. Frankenstein’s creation is nothing more than an galvanized corpse, but as the monster is literally constructed from the humanity must dispose of and “permanently thrust aside in order to live” (Kristeva, 3). In both Shelley’s original and the Whale adaptation, the creature, once born, is rejected by its creators, causing the creation much shame. In the original, the creator, Victor Frankenstein himself, is horrified with his creation, he reacts violently “in the presence of signified death” and flees from his laboratory, abandoning his creation, which flees into the wilderness (Kristeva, 3). In this moment, Frankenstein sees the monster, eight feet tall with black hair and lips, and feels “a massive and sudden emergence of uncanniness,” the creature has been created on man and in man’s image but is not man and thusly monstrous; rather than “assimilate” his creation, chooses to “expel” it (Kristva, 2-3). The creature itself most definitely inhabits the “border” between filth and purity, as it its a “composite,” of both life and death (it lives yet it is constructed from the dead) and of the individual cadavers that constitute its body (Kristeva 4). Moreover, as Frankenstein’s creation is not human, it directly “threatens life,” and must therefore be “radically excluded” from society, an act performed by the villagers in the Whale adaptation (Kristeva, 2). Honestly I can think of no better example of the abject than Frankenstein’s monster due to its cultural longevity and our society’s perpetual “pleasure in [the] perversity” of the walking cadaver (Creed 256).